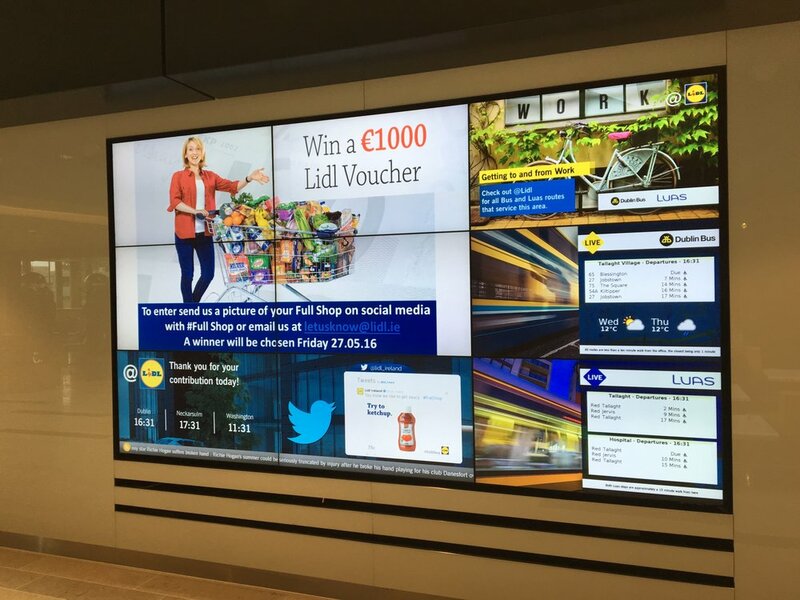 We specialise in digital media with a strong emphasis on video production, graphic design, motion graphics and bespoke interactive solution design for digital content displays in corporate, retail, education, hospitality and museum environments, both Ireland and internationally. Getting a display screen system to a go live date on time and looking the best it can be is our priority, however maintaining that “First Day” look is also important, but not always possible as companies may not have the internal resources to keep the signage fresh. We can provide ongoing content maintenance and creation services on an adhoc or monthly/annual basis. We provide comprehensive custom end user training which is tailored to the user roles of staff within a company. The signage solution will be configured with users and daily tasks in mind, therefore assuring ease of use.